Education should aim to achieve the enhancement of intelligence. However, current education reform action is driven by narrow perceptions of how to make students work-ready. Creativity, an essential element of intelligence, is being marginalised in schools, particularly in Australian schools. As far as reform goes, schools are the focus of most of the debate. It is what goes on in schools, and who is doing what, that interests us. The teacher is almost universally identified as the most important agent influencing student achievement within schools. So we struggle with questions like, how can better teachers be recruited and rewarded and do teachers know enough anyway? Overriding everything when it comes to schools these days is the demand for accountability. It is seen as a democratic right! Somehow we seem reduced to debating whether public schools can deliver, or independent schools are better. Then there is standardised testing. No matter where a child is taught, standardised testing is rife. With this, in some countries, comes merit pay, linking teacher advancement and rates of pay to the test scores of students. Getting rid of teacher unions is part of the reform agenda around the world, and actually acted upon in some countries. And no matter where the school is geographically and financially, any claims for more funds are met by assertions from politicians and commentators that it is the targeting of the funding (allocative efficiency) which is important, not just more money. Almost all the above are irrelevant when it comes to schools. As I see it merit pay makes no difference to student achievement or teacher behaviour, extra funding and smaller classes make a difference for disadvantaged students and union bashing is political. Let’s get back to standardised testing. I believe it is, to put it mildly, unhelpful. It doesn’t address the main reasons for poor achievement such as the socioeconomic status of the family and features such as remoteness and enrolment of “minorities” and Indigenous children. The socioeconomic level (SES) of the family influences what the child brings to school on day one and the opportunities for out of school activities, including study at home. The average SES of children in the classes, and the school, affects teaching standards, curriculum, provision of creative activities and more. At school the background of the children further influences achievement: a disadvantaged child in a class of high SES children can end up as much as two years ahead of a similar student in a low SES class. Homework and tutoring can be important but are not universally critical elements. Emeritus Professor Alan Reid recently summarised all the flaws in the arguments for independent schools, and so have many other advocates, including Diane Ravitch in the US and Trevor Cobbold of Save Our Schools. Where independent schools achieve better results it is usually because they enrol already bright students. School autonomy, the level of which independent schools in Australia currently enjoy more than government schools, is important in curriculum development and assessment. However autonomy in administrative functions like budgets and staff recruitment is not useful, although this is the path government schools are increasingly heading down in Australia. Making schools a business distorts their purpose and outcome. Confronting disadvantage is vital. That is what the Gonski Panel concluded. In countries where average student achievement is high extra help is given where needed and every student is believed able to succeed; the gap between high and low socioeconomic advantage is low. The OECD through its PISA program has been saying this for years! The US has done almost nothing about it but has continued standardised testing, supported a uniform curriculum – “Common Core” – which makes testing easier – and supported charter schools! It is a rich curriculum which is important, not whether it is the same in every school. Disadvantage may include intellectual, physical, ethnicity, language and geographic remoteness, sometimes gender. (It used to be that girls didn’t do science and math.) Schools in remote areas in Australia lack resources and are often staffed by less well qualified teachers who stay a relatively short time at the school. In Australia there is argument about teaching Indigenous children in their first language. There is a similar argument in some US states. Language is identity! Learning in one’s own language first is a prerequisite to learning in other languages. For Australian Indigenous children there are further problems flowing from poverty, housing and nutrition. Sending older children to boarding school separates them from family and country. A history of deprivation and worse, not yet confronted, further holds back Indigenous student achievement. Leading educator Pasi Sahlberg points out that reforms in Finland from 1980 started out to achieve equality of opportunity, not to be the best in the world. In Finland teachers are respected and enjoy good working conditions. There is some resistance in some quarters to recognising the significance of disadvantage and funding. Some US authorities focus on external tutoring as a reason why children in Asian schools, who have recently participated in PISA, do well. This misses the fact that many Asian schools also attend to student engagement and give special support for children experiencing difficulty. In the US there is even condemnation of PISA tests: they are alleged to have driven the imposition of standardised tests. But sovereign countries determine the use of tests! In Australia NSW leads the way in adopting a funding method that acknowledges the simple truth that disadvantaged children cost more to educate properly. In the classroom the way the teacher teaches (the pedagogy) is vital in contributing to superior student learning. Learning is an experience: that was shown decades ago by John Dewey. New Zealand researcher Graham Nuthall wrote some years ago, “Students interpret classroom activities in relation to their own goals, interests, and background knowledge, and they extract the information that is relevant to them… It is this ongoing process of making sense of and managing their participation in classroom activities that changes their knowledge, skills, and motivation, and creates the link between classroom activities and learning.” In other words simply emphasising content is not enough. Researchers like Jonathan Osborne (Stanford University) and Lauren Resnick (University of Pittsburgh) talk of argumentation and collaborative discourse, explaining concepts, challenges, reasoning, being held accountable. Of course the teacher should be competent in the knowledge of what they are teaching. The advances in pedagogy build on that. Pioneering studies of formative evaluation reveal the gains from use of devices like coloured lollipops given to students then selected at random to answer questions and electronic whiteboards on which answers are written to be shown to the student next to them. Formative assessment is assessment for learning, not assessment of learning. Dickens’ Mr Gradgrind’s emphasis on facts is the destruction of learning and any future interest in it. We need “joined up” solutions to improve schools, strategies which address physical health including nutrition, urban planning which ensures adequate space for children to play and households with sufficient space for private study and work-life balance which ensures adequate opportunity for family activities. All these have a vast influence on the child’s learning. Minister Christopher Pyne’s assertion that the present system is not broken is wrong; one writer compared the funding with different railway gauges in each state. The Gonski Panel recognised this. Most of the money presently funds better performing students and richer schools where it makes not much difference! Recent international programs which test student knowledge and literacy in reading, mathematics and science have been a source of confusion in some countries. Statistical differences have been smothered and mere rank has focused politicians and others on competitive position of countries. A number of Asian countries and cities, whose students have performed very well, have entered recently. The focus on Australian students’ rank ignores the statistical meaning and the clamour ignores fluctuations by many countries. The results of problem solving tests in PISA 2012 shows that simply ascribing the relative performance to “learning by rote” does not explain the outcomes of Asian students. Schools are special but they are not entirely different from any other organisation. However, many assertions about them are mostly ignorant of what we know of organisations. So it is not surprising to find leadership by the principal to be critical as shown by longitudinal studies in south Chicago, by Tasmania’s Bill Mulford and the knowledge of many teachers everywhere. Teachers are supported in their teaching strategies and must set high standards; cooperation is promoted. Leadership builds community relationships. Financial control is not the important factor anywhere as shown by PISA. Where to with school reform? If our attempts at school reform in Australia are to be successful we need to look more closely at the evidence, ignore political manipulation and focus on the end goal – the enrichment of the intelligence of our children. 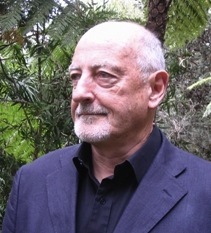 Des Griffin is Gerard Krefft Fellow at the Australian Museum, Sydney where he was director from 1976 to 1998. He graduated from Victoria University of Wellington and the University of Tasmania in marine biology. He is interested in museums and arts organisations, the environment and science, organisational dynamics, especially leadership and governance and in education. He was founding president of Museums Australia, the single association representing museum people from 1993 to 1996. He was appointed a Member of the Order of Australia (AM) in 1990 and elected a Fellow of the Royal Society of New South Wales in June 2014. He writes at www.desgriffin.com. Education Reform: The Unwinding of Intelligence and Creativity (Springer, 2014) is available at the publisher’s website. The book and individual chapters can be downloaded from the site which contains abstracts of the chapters. The book can be purchased from the site or from booksellers such as Fishpond.Reviewers can obtain a copy free from the publisher. I very much enjoyed this article. What’s there to disagree with when the writer demonstrates such common sense?